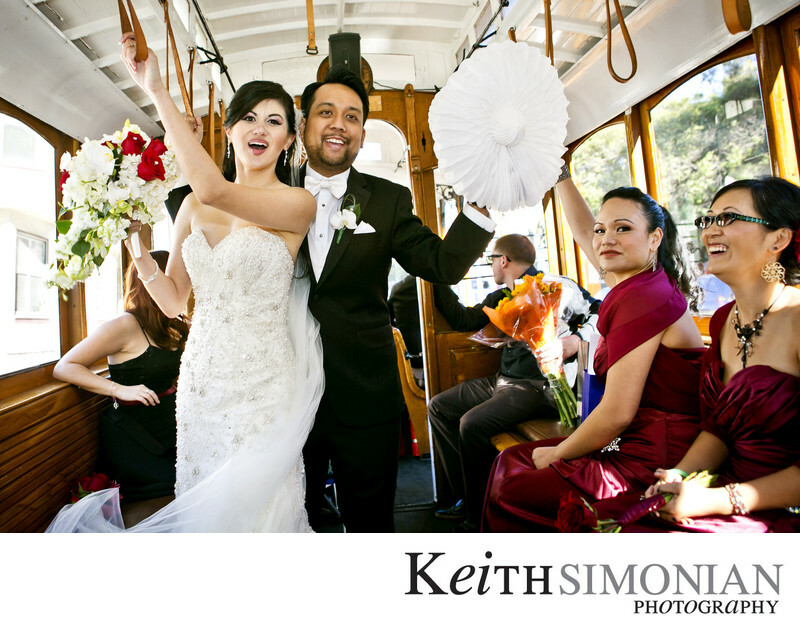 The bride and groom hold on to the overhead straps of the motorized replica San Francisco cable car. The world famous real San Francisco cable cars actually are propelled by attaching to the underground cable and following the limited streets the cable run through. The motorized cable cars are available for rent from private charter companies and can drive through out San Francisco under their own power. 1/200; f/4.0; ISO 200; 24.0 mm.